In 1976, Mr. Garner “Chip” Whitcomb of Fort Lauderdale Florida introduced a food product aerosol called Oleoresin Capsicum (OC) which changed the acceptance of defensive sprays in law enforcement. Since 1976 there has been a great deal of research that helps defend the use of OC spray to control aggressive subjects and the product has been improved with different delivery systems that makes it more effect in all areas of law enforcement. 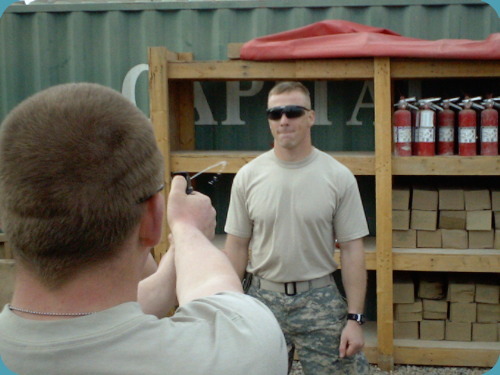 MG Tactical Advantage offers a standard four hour certification course that is good for two years. During the course officers will be taught when OC spray can legally and tactically be deployed, methods for post exposure cleaning, proper movement to avoid assaults and what is needed to prepare department policy for possible legal encounters. This course pairs nicely with the four hour Monadnock Baton or PPCT pressure point certification course for an eight hour training day.